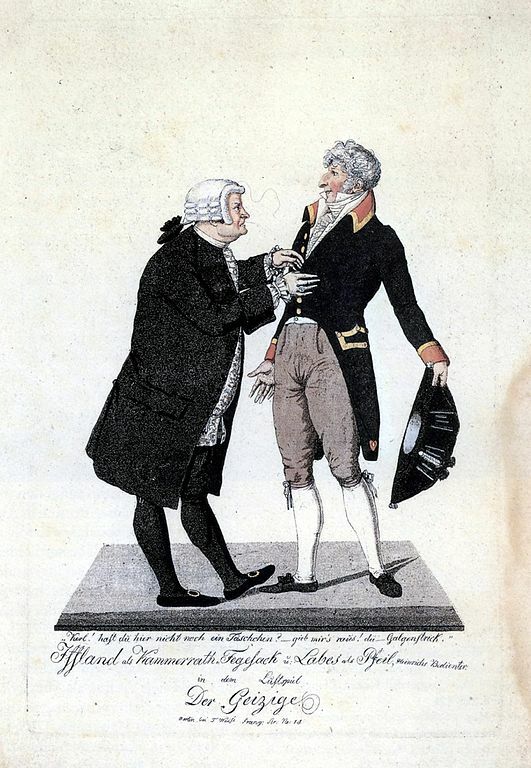 August Wilhelm Iffland (in the role of Harpagon) and Franz Labes (in the role of La Flèche) in Molière’s comedy “The Miser” (“L’Avare”), Act I, Scene 3; from a production in Berlin, c. 1810. Lithograph c. 1810 by Friedrich Weise (born 1775). Public domain; taken from the Wikimedia Commons.